Since stopped working as a lecturer for the continuing study of S3, I do not have a steady job. I was lucky not to have to worry about income as a part-time job offers from different parties. It concerns me is the health insurance and retirement. Of course, I could have alone most of my salary aside for savings and retirement as collateral. I can also confirm that, for example, 5% of my income each month recorded for the purpose of maintaining health. But, according to my calculations, this amount will not be sufficient if in a year I need to see a specialist, dental, hospital inpatient, or to catch a non-generic drugs are expensive. I need health insurance. This is the challenge is, to my knowledge, have premiums for private health insurance plans are quite expensive, especially for me who suffers from a chronic illness that would be classified as a preexisting condition. I found the answer to my confusion when you're sitting in a meeting with a representative of the Social Security Office of the National AIDS Commission in July. At the meeting, I am a wide variety of information that, in my opinion, are very informative and I want to share with as many people with pre-existing conditions who have not had health insurance for a variety of reasons. The first thing that came to my instructive is the social security program for people who do not have a contract with an institution or business entity. This new information that I did not know before. I think that those who work on the participants of the Social Security of the company are able to enjoy its benefits. It turns out I was wrong. I can register as individuals through the Social Security program for the conduct of the Work outside employment or program LHK short. Secondly, I think that Social Security provides retirement benefits, but I was not thinking right. Social Security has a variety of programs that I did not know before, including accident insurance (JKK), Death Benefits (JK) and health insurance (JPK), which is the most important point n ' is not familiar with the term pre-existing condition. In other words, tuberculosis, asthma, hepatitis, diabetes, cancer, HIV or other diseases can not be rejected on the grounds that they had the disease before it becomes a JPK participants. 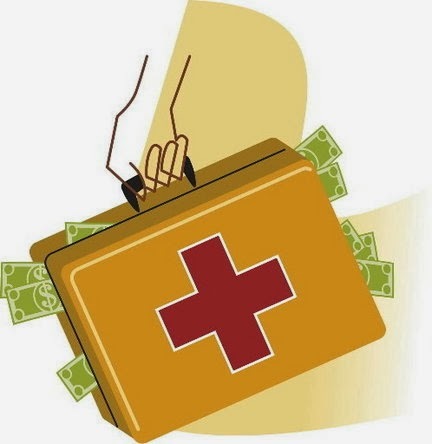 Even more interesting, JPK provide benefits to patients with severe disease who are undergoing hemodialysis or dialysis, cardiac surgery, organ transplantation, as well as the budgets of special funds for people with cancer and HIV. Because spirits hear the good news, after the meeting, I went straight to the branch Setiabudi, South Jakarta, to register for social security. But my passion subsided instantly when the staff who received my application, saying: "Sorry, but we do not serve individual requests. You must be registered as an employee of an institution, and the company you work for is a participant in social security. "Light of my irritated to hear his explanation. There is only one hour, I attended a presentation of corporate employees social security that had been so convincing. I immediately replied, "But, sir ..." and gave a long explanation of the information that I received when I sat in the meeting. Fortunately, I recorded everything that I can a presentation that I heard again smoothly. Hear my explanation, social security employee excuses for not knowing anything about the information. He then offered to let me meet her boss to discuss my application. I was immediately welcomed the offer. After waiting some time, I was greeted by the head of marketing in the informal sector, Mr. Iman Aminnullah. Knowing my intentions, he began to explain, "Well, yes Ma'am, you can register to participate LHK, but we do not accept participants. You must belong to a group and register with other group members. Suppose you are a motorcycle then you need to collect other motorcycle taxi drivers to form a group of motorcycle taxi drivers. Then you register your group as a member "LHK. Half-amused, because it is considered a motorcycle and half annoyed because the information different from what I heard at the meeting conveyed, I could resume my previous explanation. I was lucky Mr. Faith was very cooperative. Having already apologized for not knowing something about the different programs that I mentioned, he then asked for time to talk with colleagues. Long story short, after whispering long enough, I can sign up as members expressed LHK program. Mr. Faith said I was the first individual participants in the area of ​​social security Setiabudi office. Given the current system was not able to accommodate individual participants, Mr. Iman'm given a few days to find a way to get my name can not be put into the social security system. It was also asked to submit the required documents, such as the photocopier family card, identity card, passport, certificate of employment. In less than a week, I was contacted by Mr. Iman and asked to enter my first deposit at the Bank DKI. A few days later, I was again called to the office of social security to take the social security card and my card JPK. I am pleased that my efforts were strong enough fruitful results. Now I can feel calmer because they have insurance and pension insurance cards. Keyword: risk, health, insurance, health insurance, risk health insurance, not risk health insurance.